Empowering people to live with dignity, purpose and joy. The Santa Rosa Bipolar Support Group has served Sonoma County residents since 2004. 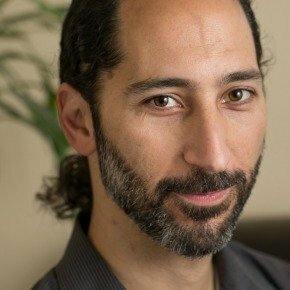 Facilitated by Benjamin Schwarcz, MFT, the Santa Rosa Bipolar Support Group is unique in that it offers both traditional and alternative treatment options. Through a combination of therapeutic techniques, and outstanding, inspirational peer support, clients not only recover their lives, but discover new levels of contentment and well-being. Many clients report rapid progress due to the effective approaches we employ. Utilizing a mindfulness approach to wellness, we find our common human connection and overcome the "illness-identity." Bipolar Disorder is not a life sentence! Accepting only Individual Coaching and Therapy clients at this time, on a case by case basis. Offering holistic and traditional approaches to recovery. No matter what your past struggles have been, extraordinary possibilities exist for living a life of balance, meaning, and joy. Tap your true potential for well-being. Many people come to the Bipolar Support Group after years of struggle, programs, doctors and a long list of medications that have been tried with varying success. Some have had psychiatric hospitalizations. Many have struggled with debilitating highs and lows, both with and without medication, and have nearly given up hope of ever living a stable, happy life. But nearly every person who comes with a sincere desire to improve their life, does so. Psychotherapy is a proven treatment for Bipolar Disorder, and the power of a group of peers who are all improving together, supporting and cheering each other on - is priceless. Our groups are witness to extraordinary successes, deep respect, and are often full of laughter. Referrals to Psychiatrists, Naturopaths, Acupuncturists and Doctors. Call 707.326.5566 today to learn more or to book an appointment. We will help you to navigate the confusing terrain of Bipolar recovery. It is our experience, that with comprehensive holistic treatment, recovery and well-being are possible. Treatment includes attention to lifestyle changes, diet, exercise, mind-body disciplines, meditation, healing relationships, and building community. "I have facilitated the Santa Rosa Bipolar Support Group for more than eight years. It is truly a labor of love and a great honor to share in the lives of such amazing people. We all have hidden gifts and un-tapped potential. I see a high number of individuals who are exceptionally bright, passionate, creative, innovative, and sensitive to the emotions and energies of other people and places. Both a blessing and a curse, these qualities can either liberate or enslave us." "...In six months Ben has helped me completely change my way of being in the world. I've rediscovered what it means to enjoy my life. My days are once again relatively peaceful, and I no longer live in constant fear of lapsing into another violent episode of mania or depression. There is still work to do, but I now feel confident in my ability to stay on track..."
Looking for new ways to maintain stability? Has your "medication cocktail" left you feeling even worse? Do you refuse to give up the hope of a normal life? I've helped many people to return to a functional, happy life, and a hopeful outlook on the future. Bipolar Disorder does not have to be a life sentence!